Making sensitive information secure should be a matter of priority for every organisation. Hackers are becoming smarter and technology is increasing their ability to access and compromise sensitive data. This increased focus on information security management has lead organisations to implement controls in one form or another. However, their effectiveness relies deeply on how this implementation is monitored and controlled. Organisations with a shortsighted approach only introduce security controls that deal with specific IT areas, not to other non-IT assets. This results in a greater threat to these non-IT assets. To overcome issues like these, ISO 27001 standard was introduced. Achieving and maintaining ISO 27001 certification gives your clients a guarantee that your organisation has implemented best-practice information security methods. While there are numerous benefits of ISO 27001 accreditation, find out our top four reasons why your company should comply with the standard. In a competitive market, it’s hard to differentiate yourself. Being certified for ISO 27001 enhances your value proposition. It can provide a unique point of differentiation between you and your competitors. ISO 27001 certification shows your customers you have a proactive approach towards information security threats and your organisation adopts best practices to minimise threats. Being an ISO 27001-certified organisation improves your credibility. Winning or losing a tender submission can rely heavily upon having this specific certification. Access to global markets can depend on ISO 27001 compliance. It will allow you to compete with international competitors and in some countries, ISO 27001 compliance is a major entry requirement. As most clients require ISO 27001 as a prerequisite or at least with security controls equivalent to ISO 27001, organisations with ISO 27001 certification are able to exhibit a fast turnaround time when submitting tenders to their potential clients. Are you thinking that ISO 27001 compliance might cost you? Well, not doing it might cost you more. You should weight the cost of compliance against the potential costs of a breach of data and service interruptions. Implementing information security may seem like an expense, but it becomes a great investment when incidents occur less frequently and when you can reduce expenses to resolve those incidents. Research shows that a breach of data not only results in leakage of organisational secrets, it is also very expensive. According to the “2015 Cost of Data Breach Study: Global Analysis” by IBM and the Ponemon Institute, the average total cost of a data breach was estimated to be $3.79 million. This amounts to a 23% increase globally in the past two years. As ISO 27001 is a globally accepted standard for Information Security of information assets, compliance to the standard can help organisations avoid heavy fines and penalties that may result otherwise. Implementation also allows organisations to provide informed decisions based upon risk management and the continuous improvement cycle. This helps managers proactively determine their overall analysis of cost-benefit or return on investment by deciding how many people need to be hired, what tools should be acquired, which systems should be audited and how incidents should be responded to. The most reliable way to store data, control access, use it safely and destroy it effectively is through ISO 27001. ISO 27001, through its systematic approach, helps to identify, manage and reduce the severity of regular threats to your information. Being an ISO 27001 company ensures the protection of your information assets and hence reduces the probability of legal prosecution and losing clients’ trust because of data breaches. ISO 27001 procedures enable you to promptly detect an incident of security breach and take action. You define who will make the decisions, who will hold the responsibility for information assets and who will be in charge of authorising access to information. The entire organisation is covered by security, including staff, technology and procedures, and creating an organisational culture that is conscious of information security. Information security is a priority for senior management and requires the management to define and identify ISMS roles and responsibilities. Your organisation conducts regular information security awareness and training programmes which reduces employee-related security breaches. Win more business by aligning to the ISO 27001 standard. We believe it’s well worth it. 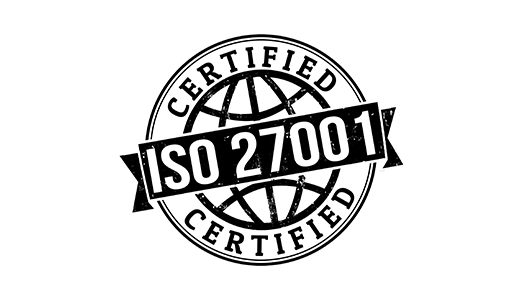 October 27, 2015 Is Your Company Up to Date with the Latest ISO 27001 Standard? ← How much does PCI DSS Compliance cost?